Our new client based in Devon is looking for their perfect candidate who has good experience and has worked in a country side residence previously. Hours: Irregular but relaxed when the family are not in residence. The ideal candidate will have at least one job on their CV where they have shown longevity of service. Most importantly they need to have a happy, smiley disposition, a sense of humour and a positive “can do” attitude. They also need to be open to irregular hours, children and pets. The property is a Georgian country house (9 bedrooms, 7 bathrooms, 6 reception rooms and large gym/leisure complex) in a beautiful country setting with extensive grounds (approx 50 acres) comprising gardens, parkland, woodland and leisure facilities including pool and tennis court. The exterior of the house is Georgian but the interior is new, having been completely rebuilt after a fire a few years ago. Consequently the systems within the house are modern and efficient and the house is easy to keep clean, not having the problem of hundreds of years of dust under the floorboards! The furnishings are a mixture of antique and reproduction, and the house contains somevaluable works of art. The grounds are varied with gardens including lawns, formal beds, two vegetable gardens and a fruit cage. There is a small boating lake in the parkland and some lovely woodland areas. A full-time gardener is employed and also a groundsman, who has been working on the estate for 20 years. The family is friendly and welcoming, with four children aged between 8 and 16 (4 of them) however this is not a nanny role. They are based in London during term time and spend school holidays and summer weekends in Devon. During the summer and over New Year the house is very busy, with frequent overnight guests and day visitors. In contrast, some months of the year (November and January until April) the house is not used at all (the family ski in France during Feb half term and the Easter holiday) so for the staff, these times are extremely quiet. Christmas and New Year are non negotiable working days. However the principals are very understanding and will help you with as much as they can. A second, much smaller, house on the estate is occupied full time by the family’s grandparents who are in their 70s. They are both very active and involved in the local community. They are completely independent, but the housekeeper position would include a half day a week cleaning for them. The housekeeper role will include all housekeeping and laundry duties, some shopping and food preparation, organising and supervising outside contractors, occasional driving as required, and running a petty cash account. Ideally, the housekeeper will also have aninterest in being involved with the garden, particularly during the times of year when the family are not in residence. An ability to cook would be an advantage, but is not a requirement. 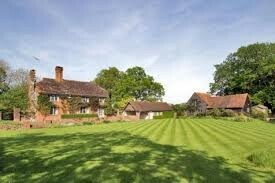 The housekeeper will also assist the gardener with looking after the chickens and other family pets. There may be occasional babysitting and child minding. The housekeeper may occasionally be asked to help at one of the family’s other properties in London or France. The accommodation offered is a newly-built cottage with two bedrooms, two bathrooms, sitting room and kitchen. The accommodation is rent free with all utilities paid.